I brought in treats for seminar today. Sometime soon I’ll do a math post, I promise! 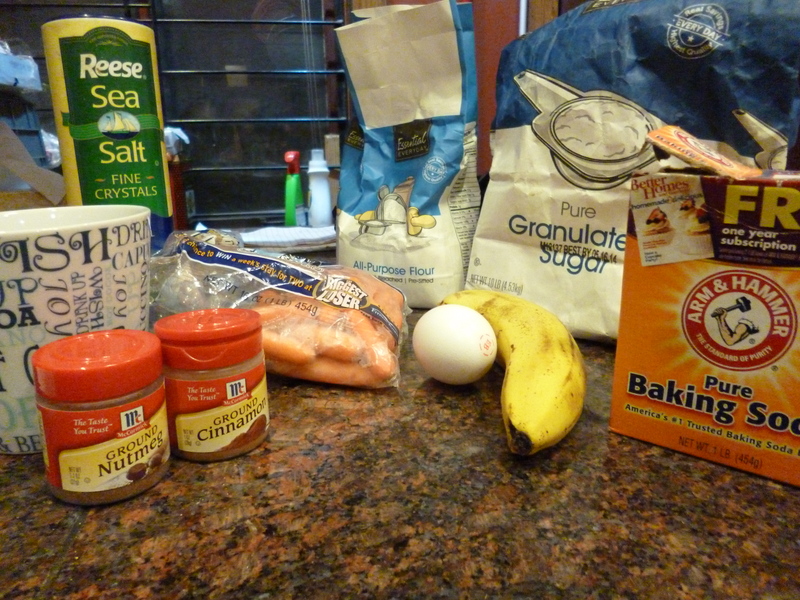 But right now it’s time for vegan carrot cake cupcakes! I was feeling way lazy last night and didn’t want to figure out how to make vegan cream cheese frosting/buy ingredients that would slowly go to waste like my coconut flour has. So I bought the cream cheese flavored frosting in the plastic tin, which is so awful but is still frosting and is also vegan. I think next time I’m feeling lazy I’ll just add more flour and maybe some pineapple to this recipe and make cookies instead. Do was feeling lonely so he thought he’d try to hang out with the other notes on the scale. He said “sup, re, me?” But they were just like fa la la and ignored him. It was sad. Anyways. 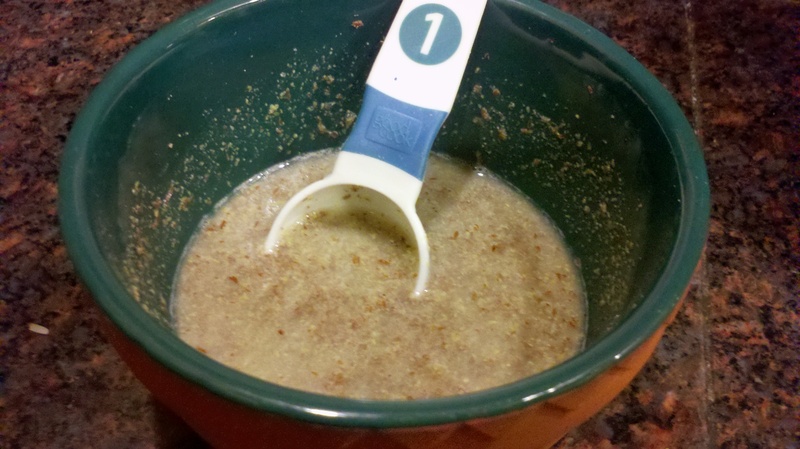 As usual, you’ll want to add your water to your flaxseed in a 2:1 ratio first to give the flaxseed time to soak it up and turn ‘eggy’. 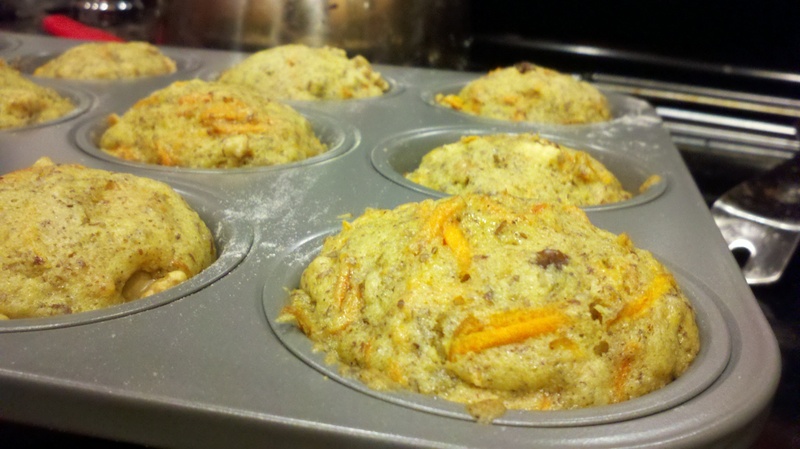 The flaxseed bag says 3:1 and the recipe said 1:1 but I think 2:1 is the best. Reflax, don’t do it, when you want to go to it. Guys I just looked up the lyrics to that song and its meaning. I had NO IDEA. Go look right now. Next, shred up all your carrots. 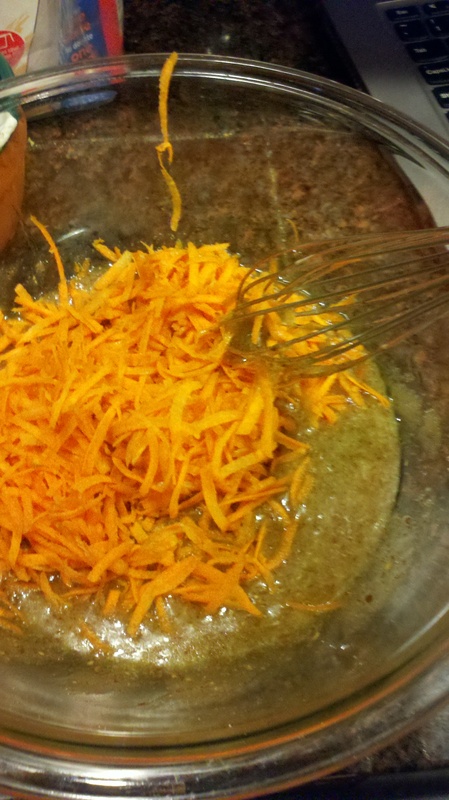 I hadn’t made carrot cake earlier because I didn’t have a food processor and I just find it so grating to grate carrots. 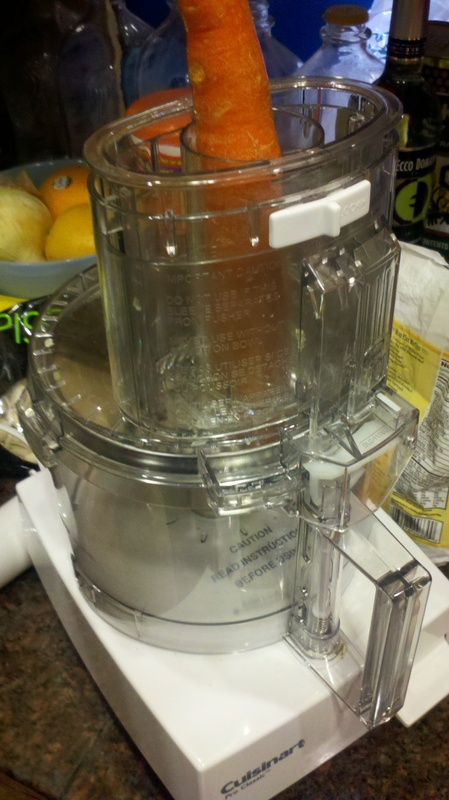 The grater attachment on the food processor works great! 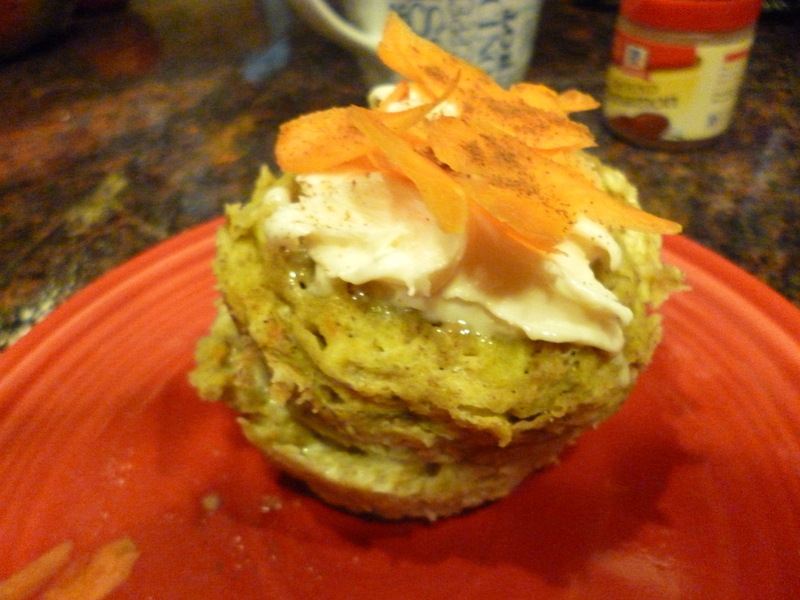 I ended up cutting the recipe in half because I am way lazy and also own only one cupcake tin. But as I write it below it makes about 18 cupcakes or an actual cake. 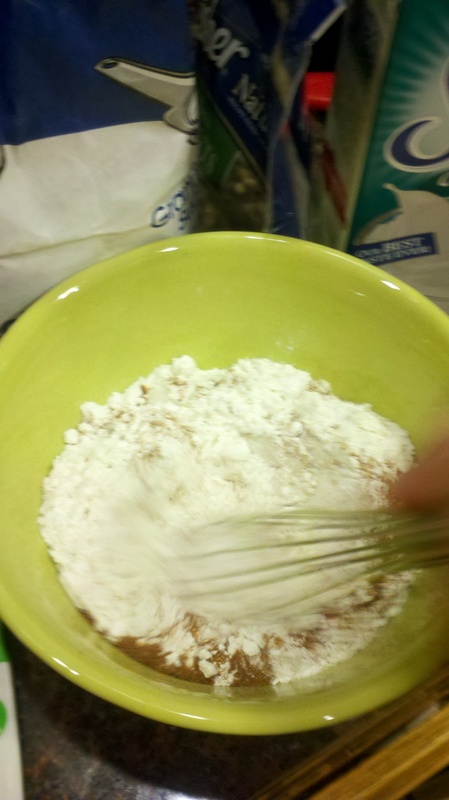 Mix up your dry ingredients: flour, spices, NOT SUGAR. 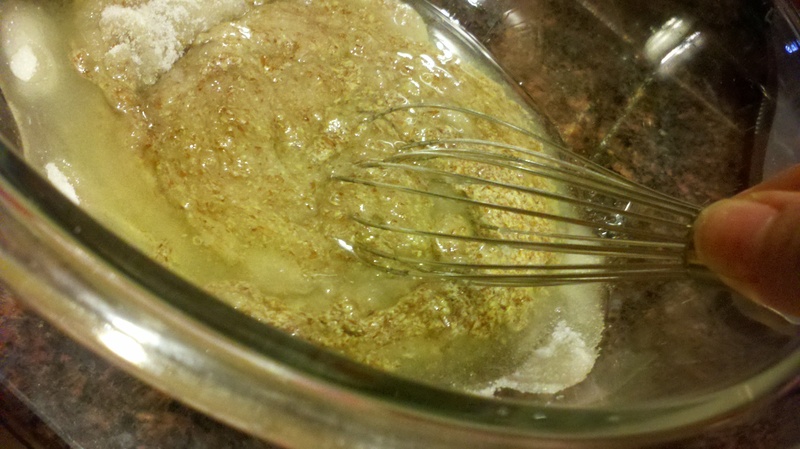 I like using a whisk because a beater will make all the flour turn into dust in the air, and a fork won’t get the baking soda/powder mixed in enough and you’ll eat a bite of your baked good and have a bit hit of baking soda and it will be awful. I have done this many times because I don’t want to clean a whisk. When you whisk upon a star, you’re probably dead because they are very hot. But if you aren’t, I bet your goods bake instantly! 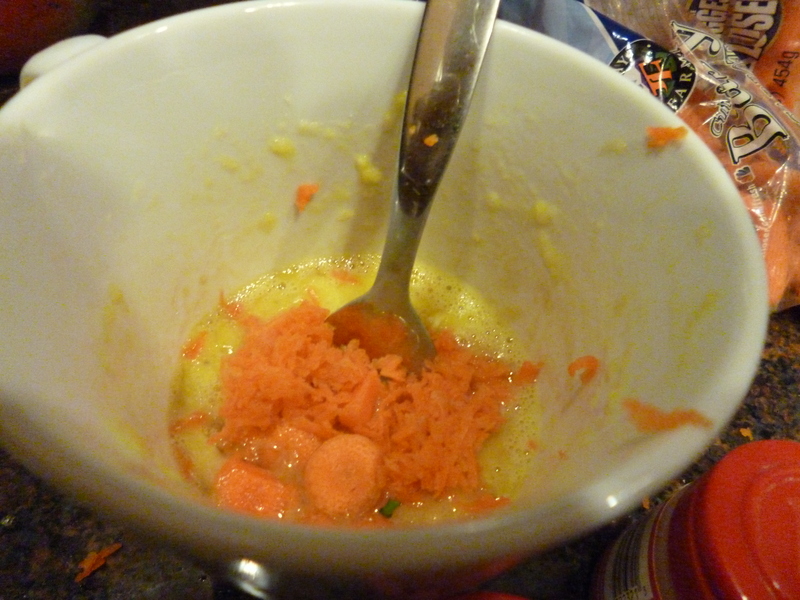 Then mix up your flax gel, oil, sugar, and then add the carrots and some vanilla. The easiest thing you’ll have to do in life is choosing to whisk it all or walk away. I don’t know why you would walk away because you’re in the middle of baking right now. You should care so much if these are in your cake or not. Care it! 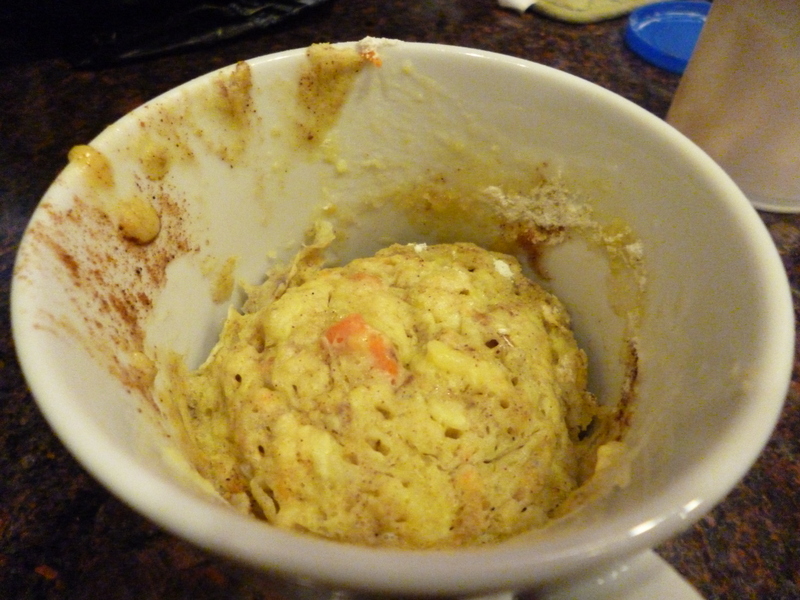 Mix up your batter (it’ll be wet), throw in some walnuts, and fill your cupcake cups about 2/3 full, or use around 1/4 c batter for each one. 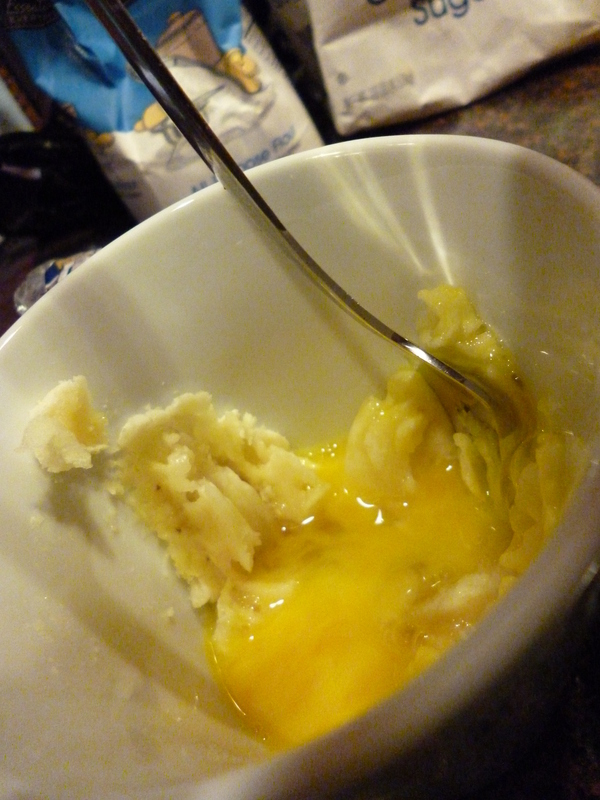 I have a nonstick pan, or you can use liners, or you can grease and flour like we’ve done before. 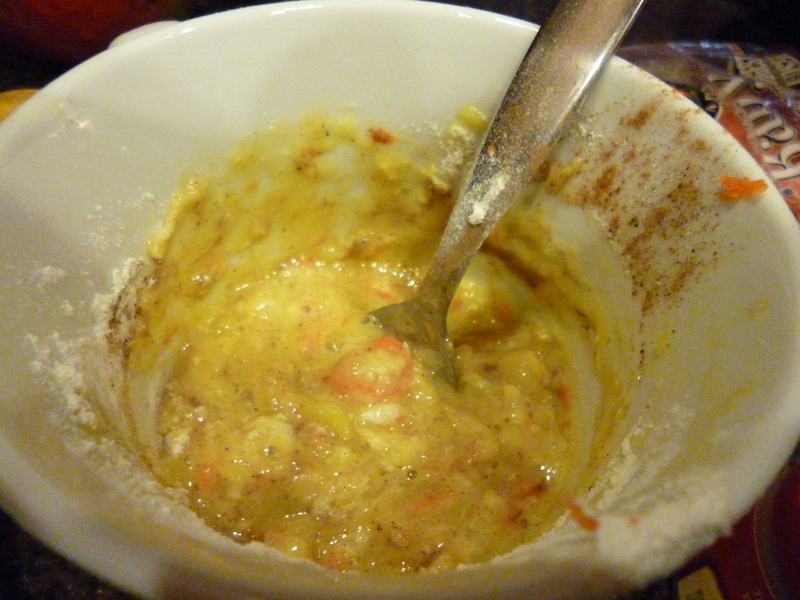 Stick it in an oven for about 16 minutes, or until a toothpick comes out dry. 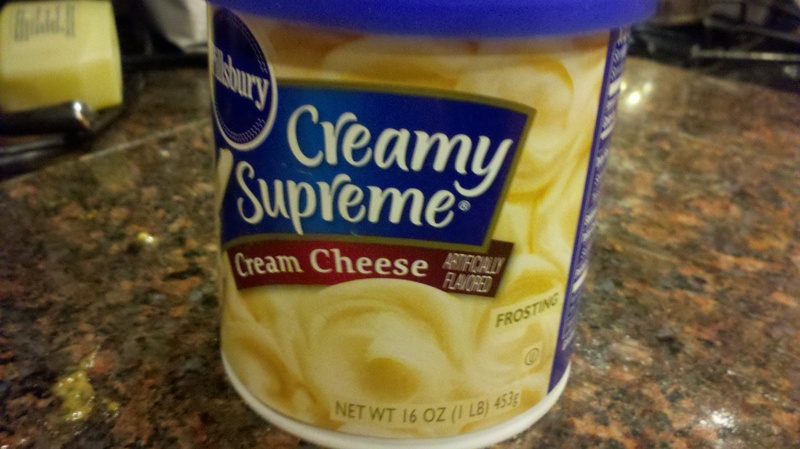 Then put on your artificially flavored cardiac arrest-spread, I mean frosting, and enjoy! and let sit. 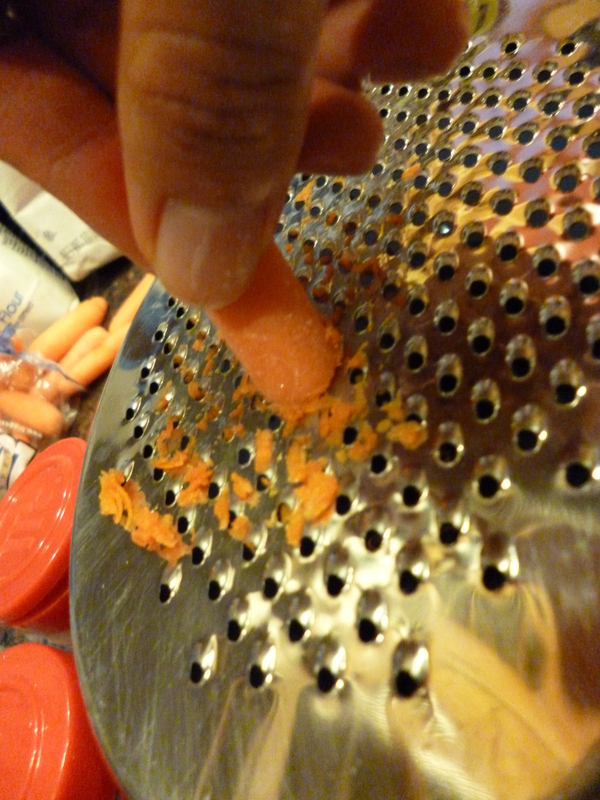 Grate 2 large carrots to make 2 c shredded carrots.